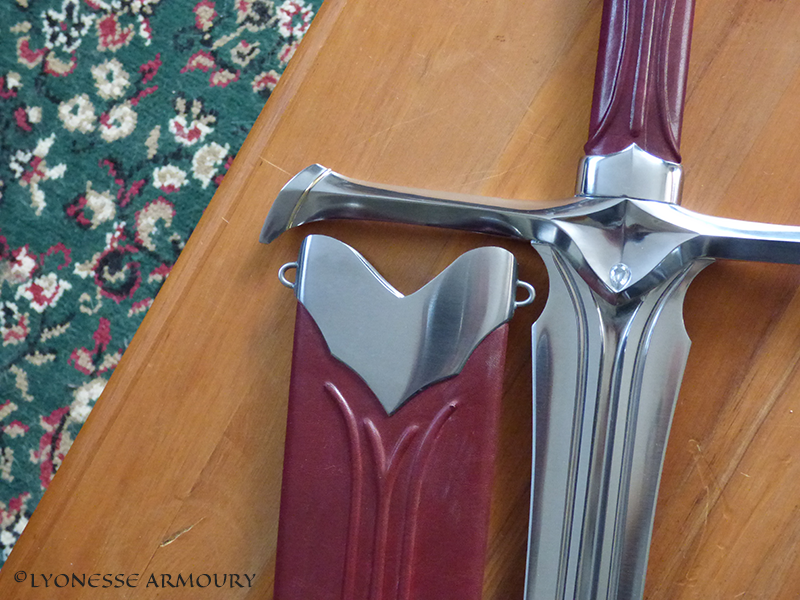 A selection of swords from Lyonesse Armoury: click on each image to learn more about that sword. An engraved reproduction of the historical Sword of St. Maurice. 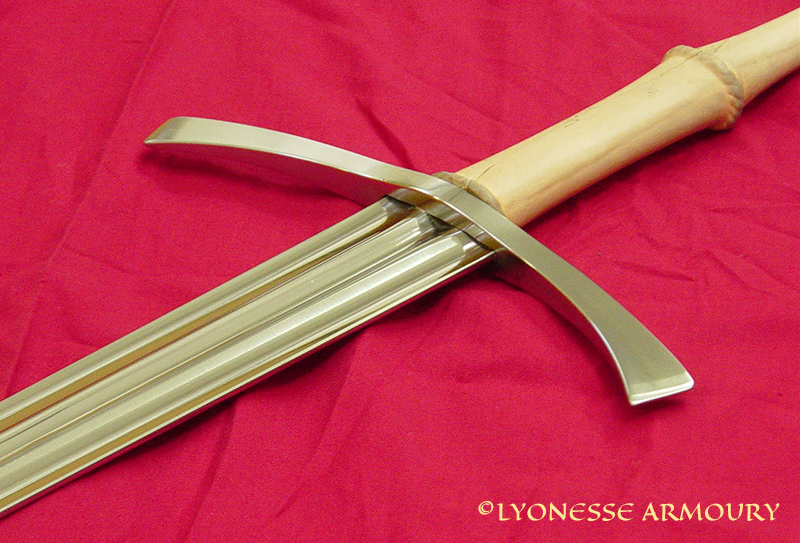 A combat-ready reproduction of Oakeshott Type XIV.7, a sword used between c.1275 and c.1340, with a short grip and wide but relatively short blade. 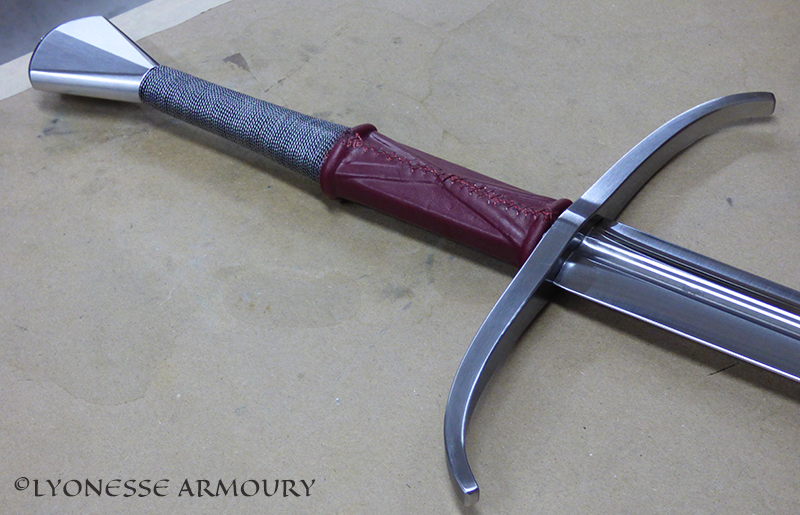 A reproduction of the Oakshott XVII longsword. A variant of the XVII longsword with a wire-bound hilt. 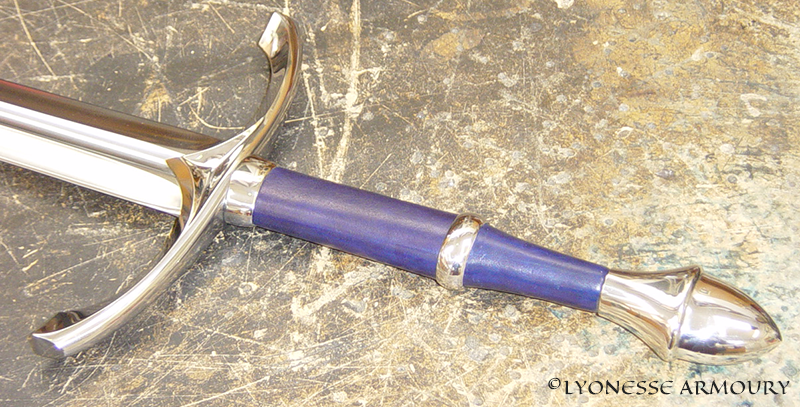 A reproduction of Oakshott’s XVIII, including a cow horn hilt. 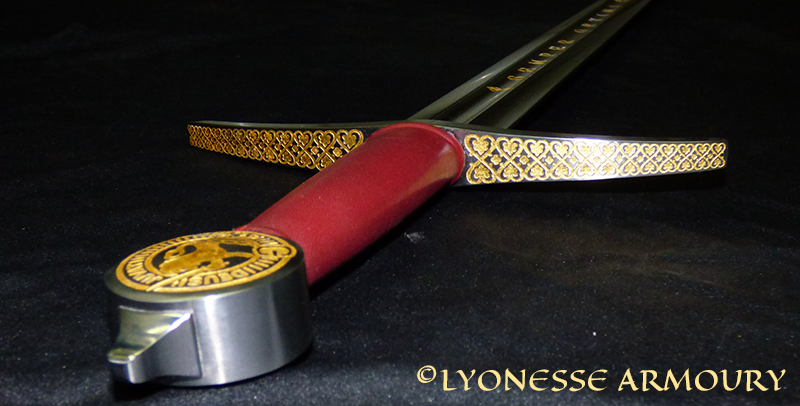 A custom longsword made to IMCF combat rules, with etching and 24-karat gold gilding. A dramatic, embellished two-handed sword with an interesting leaf-shaped blade. 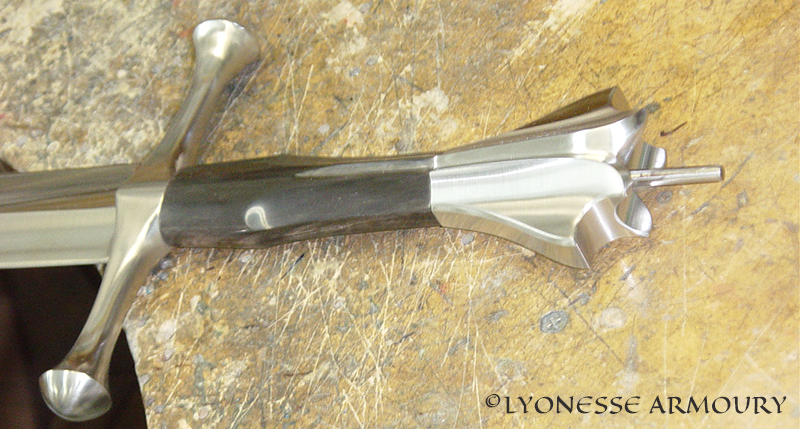 A “practical fantasy” sword, the client’s vision made into a highly functional blade with custom detailing.